Education they say is the Key to success so, and in the fight to this comes so many moments that includes Graduation. 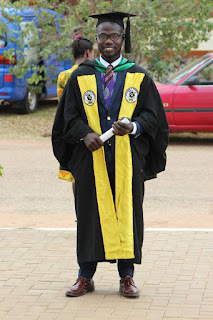 Fast-rising Ghanaian blogger, Nana Owusu Sarfo has officially graduated with his first degree. 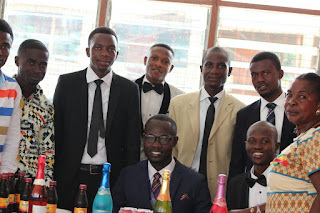 His graduation which took place on February 24,2018 saw his family 👪 and friends coming from all walks to support him graduate. 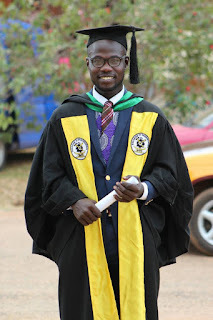 The blogger who brands himself as Ghana's Favorite Blogger, graduated with Second Class Honours in Telecommunication Engineering. In an interview with him, he said " The mercies of God has made it possible for all these happen". Tho it was not easy, we successfully made it through all these hustles and tussles - he added. 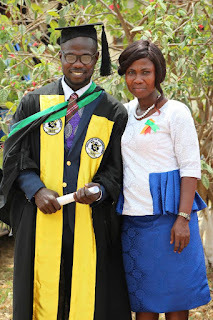 We want to say to Ghana's Favourite Blogger Nana Owusu Sarfo a Big Congratulations and may all you aspire for come to pass for you in Jesus' Name.